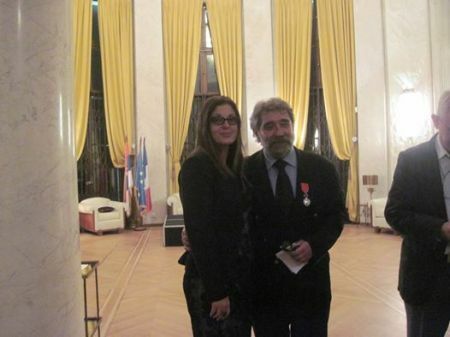 Zoran Sekulic, founder and Director of News Agency FoNet, was awarded the Legion of Honor, France’s highest decoration, by the ambassador of France in Belgrade Christine Moro. Convinced that lasting stability and universal prosperity can not exist without the rule of law, respect for human and minority rights, freedom of expression and freedom of the media, I believe that the citizens of Serbia deserve a better press and better journalism, professional, knowledgeable and responsible. 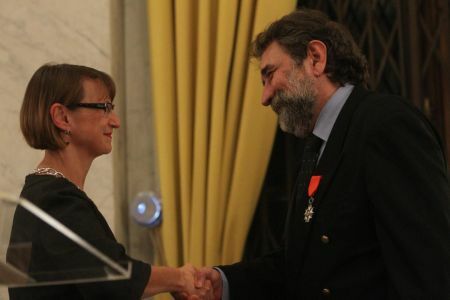 They deserve journalists and editors who work in the public interest, and owners who do not trade confidence, Sekulic said at a ceremony at the French embassy. French Ambassador to Serbia Christine Moro said that the President of France Francois Hollande decided to award Zoran Sekulicr this recognition for his involvement in the service of the defense of media development and their independence in Serbia and in Europe.